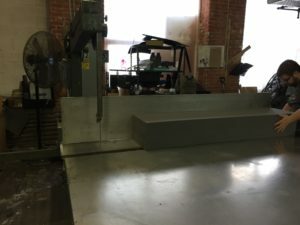 Foamtech Corporation—headquartered in Fitchburg, MA—was founded in 1981 and initially served customers that required custom foam fabrication. While foam fabrication remains our core business today, we also serve customers that require complete packaging solutions. We fabricate polyethylene, polyurethane foams for both the consumer and industrial markets. Foamtech is also a leading manufacturer of Conductive Foam used to package and protect sensitive electronic materials, parts and devices from electro-magnetic and static electricity that may damage or decalibrate products. 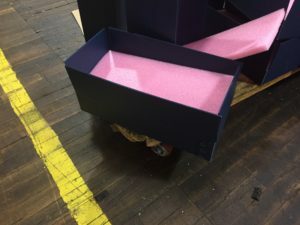 Our Packaging Services Group develops unique packaging solutions for our clients and typically includes a combination of foam and corrugated. We have the ability to quickly design, sample and produce packaging products and solutions through our CAD manufacturing process. We also provide outsourced inventory control and fulfillment programs and can deliver products for our contracted packaging clients in less than 24 hours through our fleet of trucks. Our strengths are service, attention to detail and customer satisfaction. We inventory a wide range of foam, corrugated and packaging related products and we are uniquely positioned to meet your needs. Contact us today to discuss your foam or packaging needs.